The information on this page is useful for people working in NGOs, parents, volunteers and other enablers.This will help you enable persons with disability. FAQ 1 - How do I change the mindset of companies? How can I conduct awareness workshops for companies? 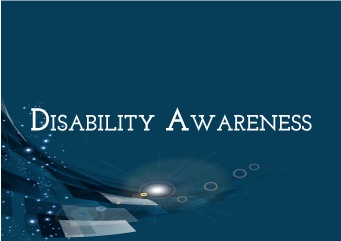 Join the disability awareness and sensitization course to see how you can change mindsets of companies. FAQ 2 - I cannot look at open employment for some of my candidates with intellectual disability, autism spectrum disorder and mental illness. What should I do? Look for outsourced work which you can do in your premise. However, if you want more exposure for your candidates, the best model is the inclusive outsourced model. There are examples of companies such as HCL and KTTM who have adopted this model. For example, when outsourced jobs from KTTM were given to NGO, the NGO worked out 3 party agreement with another company Microtek so that employees with disability get an environment which is mainstream. The scope for placing severe disability is more in such a model. When HCL wanted to outsource the work to the NGO, the NGO insisted that the work be done in HCL premises but with a project manager from the NGO. Persons with severe disabilities can be integrated better in such controlled mainstream environments. See this video to learn about the KTTM model. FAQ 3 - I work with persons with vision impairment and want to provide computer based jobs. 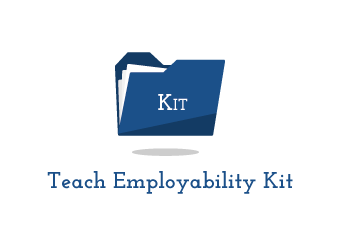 Order teach employability kit which includes a manual, trainer checklist, CD with relevant videos and self-learning student workbooks. This kit is also available in Kannada. This kit has material that will help you create demand in companies. This includes hiring pwd CD, hiring persons with multiple disability CD, jobs compendium, coffee table book and the kit which enables company to on board candidates such as generic awareness posters to be put up in companies, posters and brochures specific to disability. 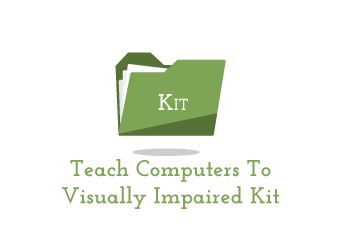 Teach computers to visually impaired kit is available in English, Kannada and Hindi. This kit has video and audio tutorials, training manuals in CD or book form and tactile diagrams.